Ben Short isn’t complaining about the rising price of gasoline. In fact, the Chevrolet Volt owner from Rochester, N.Y., doesn’t pay attention to the rising prices since he’s only used about a half a tank of gas in the last three weeks. Short is an early Volt purchaser whose idea of an electric car with extended range is that it is an electric car first and foremost. Like the typical Volt driver, Short counts on the Volt’s 16 kWh lithium-ion battery to take him about 35 miles between charges. Interviewed recently by WHAM-TV, Short said he remembered gas was “floating just above $3 a gallon” when he last bought it. If he gets really good at going without gas, Short will find his Volt telling him the engine generator needs to start every so often, while the Volt’s specially engineered fuel tank makes sure the gas inside stays fresh. “Gasoline readily evaporates at normal ambient temperatures and it also degrades over time from oxygenation and condensation, “said Jon Stec, fuel system integration engineer for the Volt. In order to ensure that the gasoline in the tank doesn’t hurt the Volt’s performance or emissions when it is needed, engineers pressure sealed the 9.3 gallon steel fuel tank to contain the gasoline vapors. “Using a sealed tank limits this evaporation when the engine is off,” Stec said. For the last several decades, new vehicles have been equipped with charcoal canisters to trap evaporating gasoline and then feed it back to the engine. Since the Volt’s engine may not fire up for extended periods, hydrocarbons potentially could build up in the canister, so the sealed tank contains the vapor. The extra pressure meant that a lightweight steel tank had to replace the lightweight plastic tanks used in most modern vehicles. Volt engineers and supplier Spectra Premium Inc. developed the tank from 1.4 millimeter thick hot-dip tin-zinc coated steel to resist corrosion from both inside and outside. Despite the strength of the tank, it has a mechanical pressure relief valve that begins opening at 3.5 psi and a vacuum relief that opens at -2.3 psi, levels that are rarely exceeded. Even with a tank that resists fuel vapors escaping or humidity getting in, the gas inside still needs to be used up and replenished periodically. That’s where the Volt’s “maintenance mode” comes in. If the engine hasn’t started after six weeks, the powertrain controller sends a message to the driver telling him the engine needs to run for maintenance. 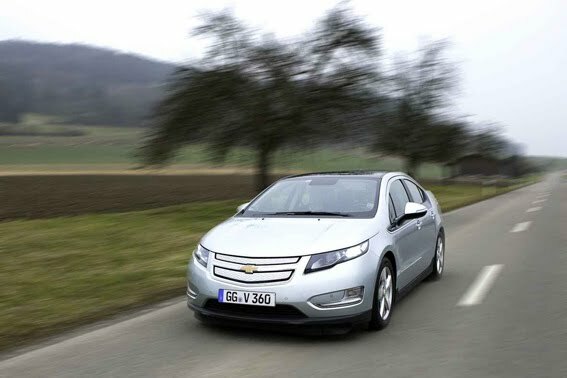 Volt drivers can defer the engine maintenance mode for up to 24 hours, after which the engine will run for a while on its own to use up some of the gas and keep the internals lubricated and ready for use. If a driver manages to go a full year between fill-ups, the fuel maintenance mode will run the engine until the old gas is used up or the driver adds fresh fuel. “For the driver who starts the year with a full tank of 9.3 gallons and runs 15,000 miles on electricity, the maintenance mode will use just enough gas to average a very respectable 1,613 miles per gallon,” Stec said.